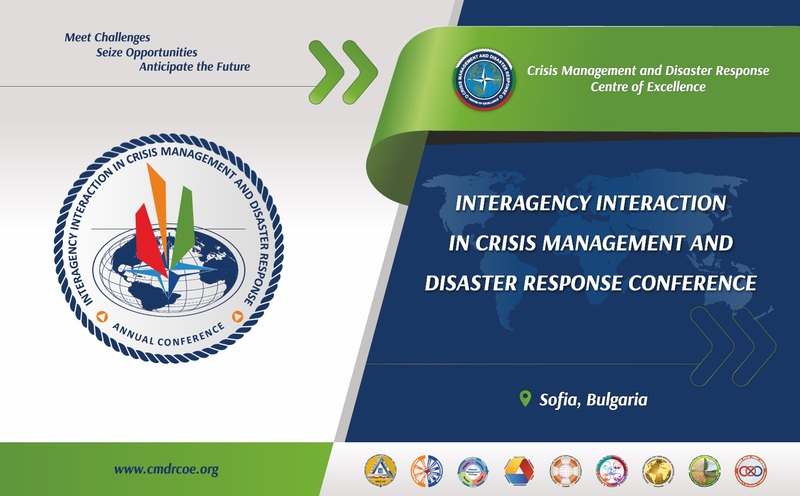 The Crisis Management and Disaster Response Centre of Excellence (CMDR COE) is pleased to announce that the 7th Annual Conference “Interagency Interaction in Crisis Management and Disaster Response” will be held in Sofia, Bulgaria, in the period 5 – 6 June 2019. To share data and facilitate cooperation between research institutes and governmental organizations. The Conference is open to all NATO Nations and Partners, governmental, non-governmental and international organizations and industry. If you are interested in speaking or delivering a lecture, please contact the Director of the CMDR COE 2019 Annual Conference, Colonel Plamen Milanov on 00359 2 92 24721; 00359 88 849 9197 or e-mail: plamen.milanov@cmdrcoe.org. All presented materials during the 2019 Conference will be published in the CMDR COE Proceedings (ISSN 2367-766X) afterwards. Articles will be published after a peer review by the Editorial team of CMDR COE. The peer review procedure is carried out only if the materials are relevant to the topics of the Conference’s panels. Scientific level and mastery of the issues. Papers must not exceed 20 standard pages (font Arial, 12 pt; 25000 characters with tables and images). Citation shall be done in accordance with the Harvard System of Referencing. Texts should contain an excerpt in English (up to 200 words) and keywords (no more than 10). In addition: enclosure name, email, institutional address and brief Curriculum Vitae of the author (academic degree, position, monographs, important papers, scientific interests, etc.) in English. Note your desire to have your product publicised in the CMDR COE 2019 Annual Proceeding. Submission Abstracts: NLT April 30th, 2019. Deadline for receiving full presentations for the Conference: May 31st, 2019.